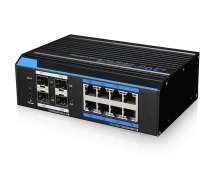 he un-managed 8 ports switch provides one uplink Ethernet port and one uplink optical port (both gigabit), 8*10/100Mbps PoE ports which supporting af/at PoE standard. It supports one key CCTV mode: 1. 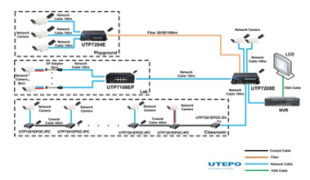 Realize VLAN： 1～8 downlink PoE ports communicate with uplink ports only; 2. 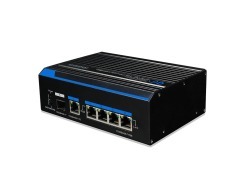 Extend the POE Ports transmission distance up to 250m (Max distance will depend on the camera and cable), but the downlink bandwidth only 10Mbps; 3.PoE watchdog (Detect POE device when it is frozen, reboot automatically). 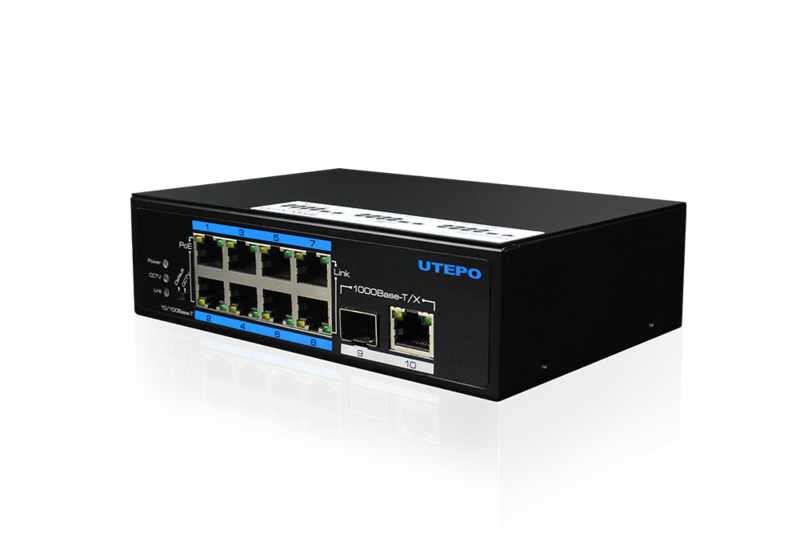 The product could be used in network security video surveillance, network project etc.